In comparison with the northern neighbour Croatia, the Yacht Charter destination Montenegro is a small, manageable sailing beat, in which the maritime infrastructure for Yacht Charter is being increasingly extended. 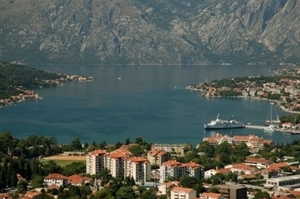 Admittedly there aren’t any offshore islands, however there are small harbours and anchorages for Yacht Charter crews on the mainland – and as a real highlight for Yacht Charter cruises, the bay of Kotor, or Boka Kotorska, reminiscent of an Alpine lake and regarded as one of the most beautiful fjords in Europe. The Adriatic coast of Montenegro is only roughly 190 miles long. A Yacht Charter base in Kotor offers sailboats and motoryachts. In Kotor itself, mainly the historic old town is of interest, most of the towns are usually developed in a relatively modern style. Herceg Novi, about 14 miles from Kotor has a marina in the middle of the town. Time seems to stand still in Peran and Risan, the oldest town on the Bay of Kotor, which served the Illyrians as an important trade port 2300 years ago. In Peran, Yacht Charter tourists strolling around still find some glorious mosaics and other sights, dating back to the Romans and Greek. Several hundred years ago, wealthy seafarers have erected magnificent villas, old churches and artificial islands serving as sites for churches, but also Baroque heritage makes Peran worth seeing. Also lovely is the town of Tivat with two offshore islands: the island of flowers and the “Island of Our Lady”. When sailing in Montenegro, Yacht Charter crews will usually moor in a town harbour. Along the coast, Budva and Bigova lend themselves for anchoring during the Yacht Charter crews. Budva is the centre of the Montenegrin tourism, thanks to its many beaches. The old town with several old churches, taverns, shops and art galleries is situated on a peninsula. Ulcinj, the southernmost town on the coast of Montenegro and former pirates-site, is very popular among tourists – with an eight-mile-long beach, an island in the river delta, olive groves and a restored old town. Bar with several marinas is becoming a meeting point for Yacht Charter crews – old fortifications, a 2000 years old olive tree, and Skadar lake – an absolute paradise for birds make this town also very attractive on the land side.